Are you thinking about visiting Machu Picchu? You’re not alone. The site draws as many as 5,000 people a day in high season, and was deemed one of the new world wonders. It’s possible to see Machu Picchu and the surrounding area in less than a week. I did Cusco, the Sacred Valley and Machu Picchu in just 5 days. Granted, if you want to hike the Inca Trail, you’ll need that time alone just for your camping expedition. 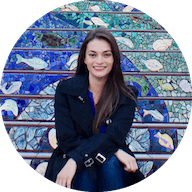 You can get the full experience of the site without roughing it for days beforehand just to get there, and here’s how. The first thing you need to do is get to Aguas Calientes, the town right at the base of Machu Picchu. While it is possible to make this a same-day excursion, you’ll want to spend the night so you can get up before the sun rises and beat the crowds to take the shuttle bus up the mountain in the morning. 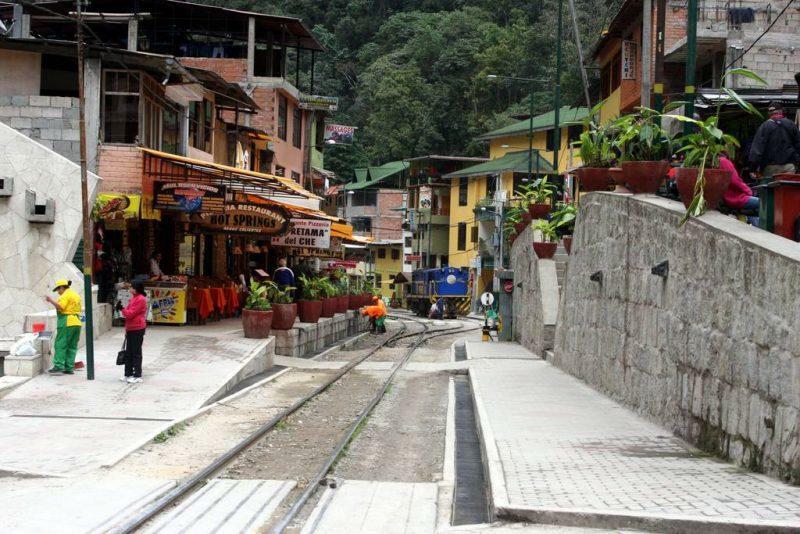 The best way to get to Aguas Calientes is to take the train. PeruRail gets you to Aguas Calientes the quickest. 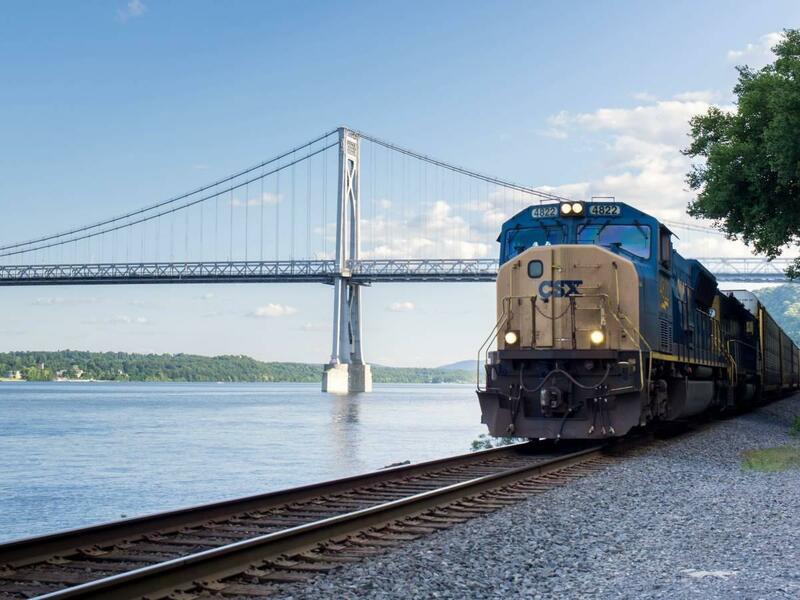 Many times, travel agencies buy the rail tickets in advance and in bulk, so don’t fret if when you go to book your dates are sold out. 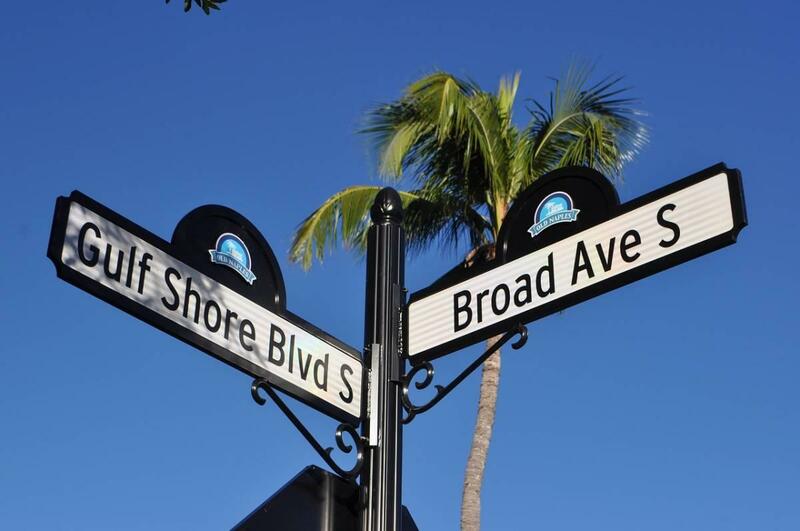 There will be plenty of opportunity to negotiate limited packages with agencies if necessary. I ended up going through Machu Picchu Viajes Peru just for this leg of my trip and they were reasonably priced and easy to communicate with. It takes about 3 1/2 hours to get from Cusco to Aguas Calientes, the most popular starting point for people who fly into Cusco from Lima. It is rumored there will be another airport in the Sacred Valley soon, near Chincero. For now, however, Cusco remains the airport of choice for access to the ruins. Once in Aguas Calientes, spend the rest of your day relaxing. 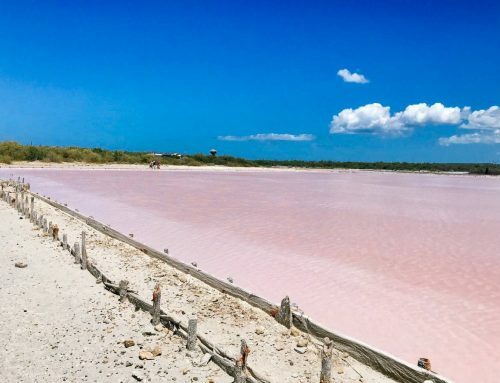 You can visit the natural hot springs that give the city its name and sip on Pisco Sours to pass the time. Then get some rest–you’re going to need it. If you think you’re an early bird at 5am here, think again. Everyone lines up early in hopes of catching that sunrise shot. By 4:30am the line already spans several blocks. Thankfully, there are multiple buses available to take people once the buses start operating at 5:30am. The ride takes about 35 minutes, dropping you off at the Belmond Sanctuary Lodge right outside the main entrance. There’s no set schedule to descend as the shuttles run constantly, every 15-20 minutes. Whenever you’re ready to go, you can make the line to go back down. The return trip is $24 per adult. You can buy your tickets in Cusco or upon arrival at Aguas Calientes. Not that after 4pm the shuttles will only take you down from the site, not up to it. In the alternative, you can also hike up the same route for free, but it’s about an hour at high elevation so be prepared to exert yourself. You can arrange your day at Machu Picchu in a variety of ways. I chose to do the Huayna Picchu hike at 8am, so I went straight there after snapping a few pictures. I found the hike to be the best part of my Machu Picchu experience and would highly recommend it. Only 200 people are allowed in twice per day so you must book in advance. You have to sign a guide book before entering and when leaving, so they know you made it out alive. DUN DUN DUN! The view from the top was phenomenal, and while the hike was grueling it was well worth the effort. I made friends along the way who also reveled in conquering the mountain and were happy to aid in taking some pretty killer celebratory photographs. If you’re not able to get Huayna Picchu tickets, there is also Machu Picchu mountain that may have tickets available. If you do choose to hike Huayna Picchu though, you won’t regret it. When the fog clears and you see the ruins from above, it’s absolutely magical. After hiking Huayna Picchu, I signed up for a guided tour of the ruins, which was very informative. There are a ton of guides on site right as you’re going in so even if you didn’t book in advance you will have no problem finding someone to walk around with you, and it really helps to have someone explain what you’re looking at. While you can go in and out, and many do to dine at the Sanctuary Lodge for lunch, be aware that you only have three entries per ticket, and there are no restrooms within the ruins so you have to exit each time you want to use the restroom, and pay to use the facilities. Time your day out accordingly. You can also get the famous Machu Picchu passport stamp at a table right by the entrance, don’t leave without it! Be aware that food is technically not permitted within the ruins. I personally might have passed out had I not had a small sandwich to sustain me through the morning hike, and my philosophy is generally that it’s better to ask for forgiveness than permission, just make sure not to be blatant about your munching and you should be fine. Also, please don’t litter. This is a beautiful place and it deserves to stay that way. You can choose to go on a number of trails around the ruins, the most popular being the hike to reach the Sun Gate. From the entrance it takes about 2 hours to get there, so allocate 4 hours total to this trek. 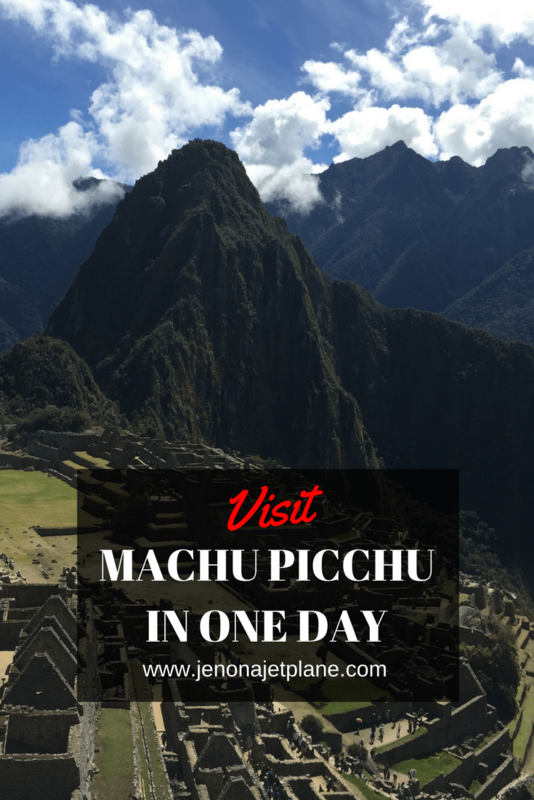 Can you see Machu Picchu in one day? Absolutely! I spent 5 hours total at the site and was exhausted. If you have the energy to do so, you could spend days exploring and soaking up every ounce of culture and mysticism this site has to offer. But for the budget conscious traveler on the go? 1 day is just right. 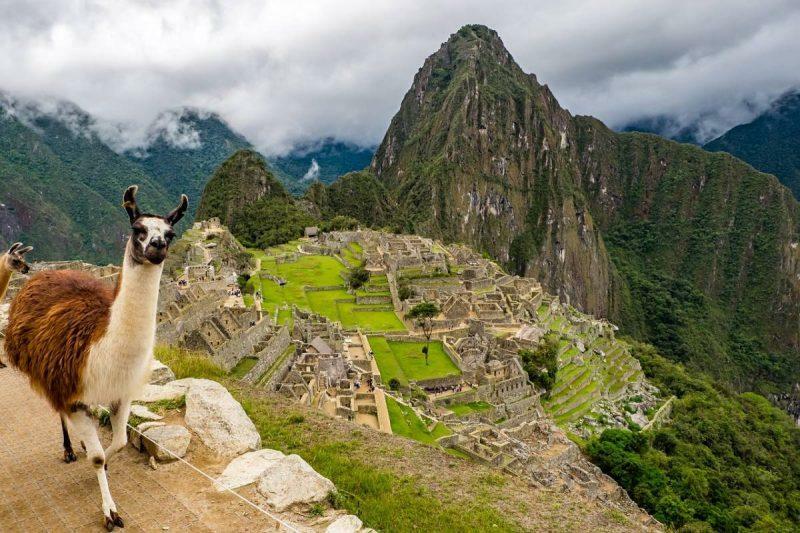 As of January 2019, the rules for Machu Picchu have changed yet again. 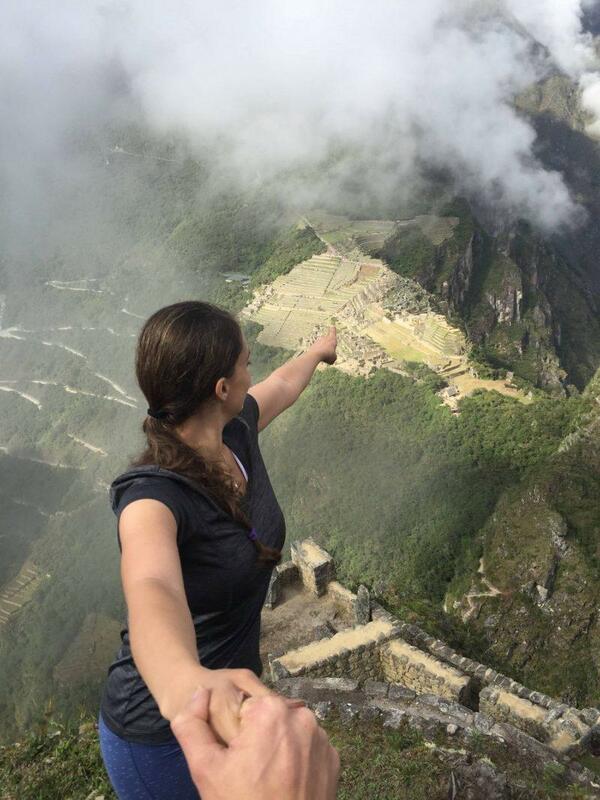 Anyone visiting Machu Picchu has limited access, both in time and numbers. Visitors now have to secure an hour-specific entry in three blocks: “early morning” (hourly between 6am and 9am), “morning” (hourly between 9am and 12pm), and “afternoon” (hourly from 12pm to 3 pm). Visitors can only enter within an hour of their designated entry time (i.e. between 7am-9am if your ticket says 8am). Everyone will get a ticket stamped with their entry time. The closing time of 5:30pm remains the same. The Peruvian government only allows 3,600 visitors to enter between 6 a.m. to noon and an additional nearly 2,700 people to explore during the afternoon. With this in mind, maximizing your time becomes that much more important. The afternoon is likely your better option if you’re averse to large crowds and want a more relaxed experience. Another big change in 2019 is the addition of a cap on how long you can visit. Anyone entering Machu Picchu is limited to 4 hours total on the site. If you are hiking Huayna Picchu or Machu Picchu Mountain, that time limit is extended to 6 hours. This is doable, but tight. Unfortunately, guests can no longer roam free about the ruins. They will need to be accompanied by a guide. I don’t think this is necessarily a bad thing. Personally, I felt my guide added to the experience and provided much-needed context to otherwise indistinguishable Incan buildings and monuments. Note that this has been a new rule since July 2017 but is not strictly enforced, so if you’d like to buy your ticket and try to enter without a guide you’re free to do so. For those of you who are scared about how this will affect your experience, don’t fret. I walked around the ruins for about an hour and a half after my Huayna Picchu hike, taking pictures and learning about the Incan culture with a guide. By 1pm I was ready to call it a day. I went back down the mountain, had a delicious lunch in Aguas Calientes and boarded the train back to Cusco. Machu Picchu can be seen in a morning. If you feel much too restricted by a half-day, however, then purchase entry for two consecutive days to ensure you get the most of your experience. Great info and tips, Jen! I keep putting off a trip to Peru, but your posts makes it seem all the more doable in a short span of time. This looks amazing! Machu Picchu has always been on my list! Your post definitely makes me realize I need to get there soon before they restrict walking among the ruins. You had me at pisco sours 🙂 Seriously, though, these are great tips. I love all the heads up advice, especially about the bathrooms. That’s not something I would have anticipated (although I probably should!). Will be in Peru in a couple of months, cannot wait to see it! Love your photos! Hi. Thank, first of all. Very useful! Sorry, I found the some bits in this article quite confusing: so you took the bus up to MP from aguas calientes and arrived in MP, entered the site? and at what stage this 8 am hike to Huayna Picchu happened? you say only 200 ppl allowed in, allowed in where? I thought you were already in MP site. Yes, took the bus from Aguas Calientes up to the official Machu Picchu entrance. Note that your ticket to enter the Machu Picchu ruins allows a maximum of 3 entrances that day, and you need to exit to use the restrooms. The 8am hike happened shortly after I arrived. There are only 200 people allowed on the Huayna Picchu trail. You enter while in the Machu Picchu ruins but you need a special ticket to access that part. You can probably leave Cusco late the day before head out of the site by 1pm, so you can technically do it in 24 hours, but to catch the bus up first thing in the morning you definitely want to already be sleeping in Aguas Calientes. Hope this helps! There a way to find the permits directly in Perú? or we must to book now? 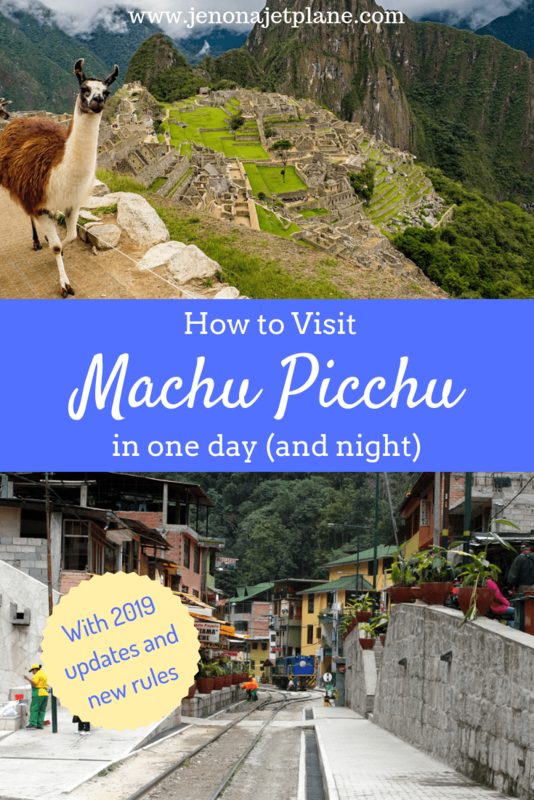 There are a ton of tour providers offering Machu Picchu access when you arrive but I suggest you book ahead of time since that’s peak season. 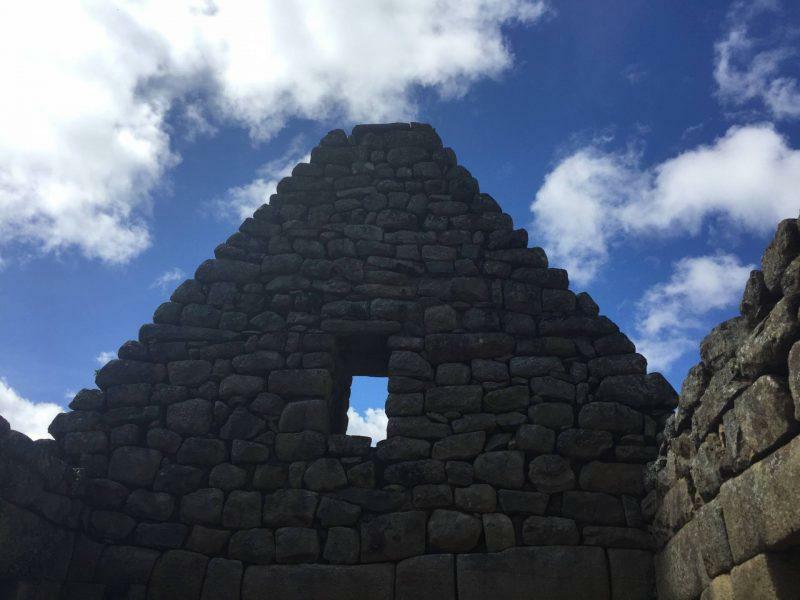 If you were just going to see the ruins I’d recommend going alone but if you want to do the Inca Trail then definitely go with a guide that can lead the way and help you navigate the overnight route. If you choose to go with a guide it’s much pricier, but typically includes all your permits and entrance tickets so no need to worry about that yourself. Hope this helps and have a great time! Seems they have changed the rules again! Now you need to choose a 4 hour slot to visit which isn’t very long if you state that some of the hikes take 4 hours! I wonder how strictly they will enforce this 4 hour time period?? I’ve not been so can’t comment but are they really going to be rounding tourists up to leave once their 4 hours are up?? I would like to hike Huayna Picchu but would also like to be around in the afternoon for when the crowds die down plus our train is booked for 9.30pm! You are completely right Sharon, I am just about to update this post! It looks like you get 6 hours with Huayna Picchu so a slight extension but honestly it still sounds tight to me. Given the entry times it wouldn’t be possible to still be there for sunset, you’d have to get tickets for 2 days. They were pretty strict about entry/re-entry so don’t know that they’d round people up and you could probably get “lost” somewhere, like on the way to the sun gate, and just exercise the “it’s better to ask forgiveness than permission” policy but I can see them imposing a penalty or restrictions in accessing the site on a future date. 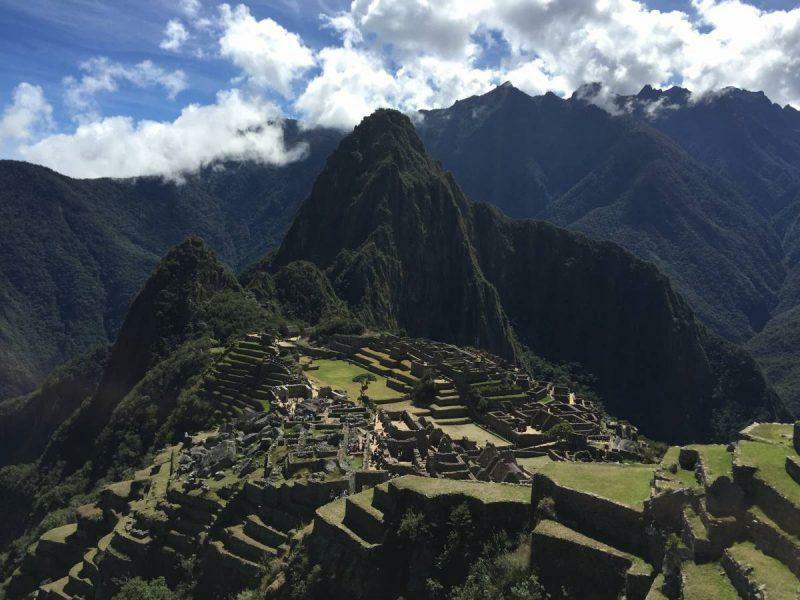 Did you do Machu Picchu and Huayna Picchu the same day? we don’t know if we will have enough time. I did them on the same day. I would have loved to have entered on a separate day and just explore Machu Picchu since there was so much to see. You can do both, but you won’t see all there is to see, especially with the new time requirements.